Super League Triathlon is all about participants - we want to see both beginners and seasoned veterans signing up, lining up and competing for our Open Age Group races. If you are looking to challenge yourself across the ENDURO and SPRINT formats in this unique Super League Triathlon movement then this is your opportunity to cease it! The playing field has been levelled as Super League Triathlon has changed the game! Will you show up? On our third year here in Jersey, fans for Super League Triathlon and Triathlon in general will get to compete against each other in SLT's format of races! Rest assure, you will be gasping for oxygen at the end of some of these races! If you’re here once again to race in the Super League Triathlon, the event will amaze you with a whole new experience. 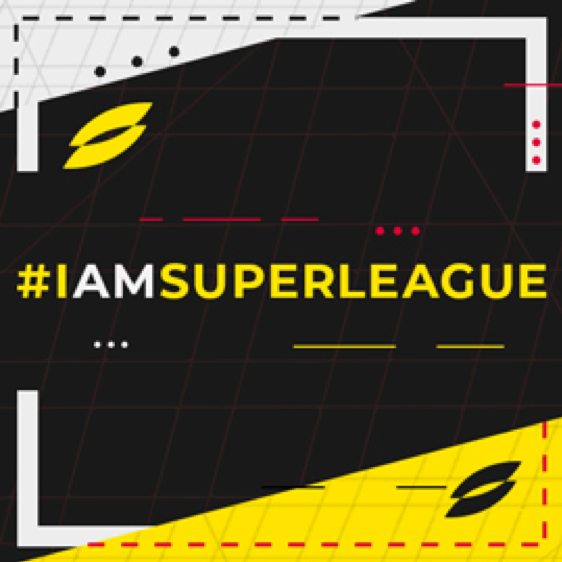 This event will see even more entertainment offerings with an expanded and livelier Super League Fan Zone, added F&B options, professionals, celebrity appearances and activities for spectators of all ages to enjoy. Mark your calendars and get on board as this is a SUPER weekend not to be missed! The ENDURO format is for the more advanced athletes who wants to truly test themselves. A unique format to Super League triathlon, each person will swim bike run and then swim bike run back to back just like the Pro’s. The SPRINT format is for everyone from absolute beginners to those that want to race at speed on the shortest triathlon distance. We offer both Individual participation as well as Relay Teams, encouraging people of all fitness levels to give it a go and join the sport. The Super League Enduro Relay format comprises of a Swim-Bike-Run split between 2 athletes. By the end of the race, each team member will have completed the full Swim-Bike-Run. The race can not be completed unless a minimum of two athletes have been activated to complete the course. 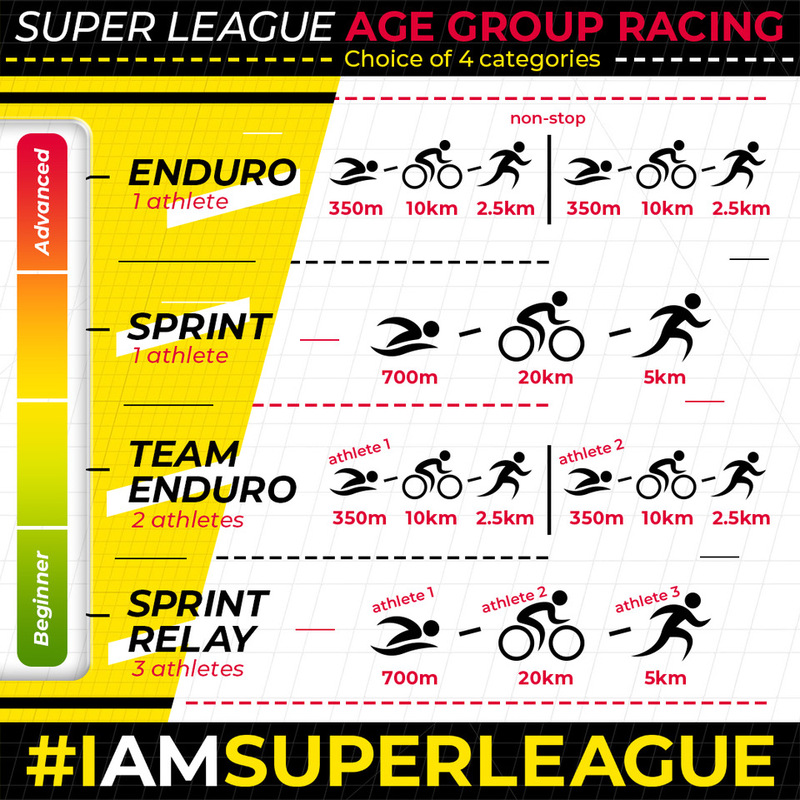 The Super League Sprint Relay format comprises of a Swim-Bike-Run. By the end of the race, each team member will have completed a single discipline of the race doing either the swim OR bike OR run. The race can not be completed unless a minimum of three athletes have been activated to complete the course. Please ensure that you read all the information on this page before you enter. It will help you to select the correct race, ensure that you know our terms and conditions and inform you of the equipment you will need! The Super League Triathlon Jersey 2019 will have participants competing in either The Enduro or a Sprint format with open water swims, city runs and bike rides down the beautiful coast. Race and compete on the same course as the pros and extended routes as you explore scenic St Helier. After race festivities are to be enjoyed at the Fan Zone with your family and friends for a memorable time. There are many notable hotels around the event site, it would be ideal for participants to be staying nearby to avoid any chance of missing the registration period and race! If you have any questions about the race or your application or need further information please contact us at info@superleaguetriathlon.com. You may also want to check out the webpage at https://superleaguetriathlon.com/event/super-league-championship-jersey19/ for more information. For registrants who have signed up and seek more information, we will be sending out EDMs with more details and updates in due time! See you race weekend. Good Luck!! !